Range INNOVATION There are 4 products. Round finger with cramp. 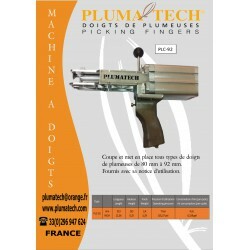 No cavity, less contamination and easier cleaning.Suitable for plucking all poultry. Picking fingers machine. 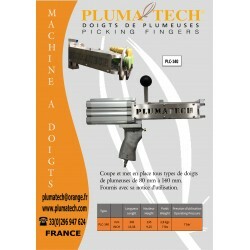 Cutting and set up all types of picking fingers up to 140 mm.Provides with its instructions for use. Picking fingers machine. Cutting and set up all types of picking fingers up to 92 mm.Provides with its instructions for use.